New Winter 2018: Christmas might not be cheaper by the dozen, but it’s definitely merrier when the whole gang can be together to celebrate! 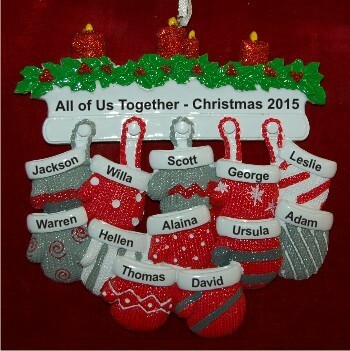 The all 12 of us together for Christmas personalized ornament will delight one and all with its festive, colorful design featuring a traditional mantel and mittens for everyone. 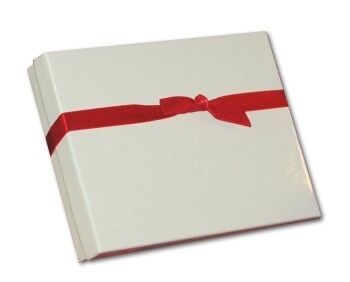 It is one of our personalized family ornaments that arrive in our classic gift pouch, and the information you provide is painted on by hand in a font more stylish than shown. Commemorate wonderful moments together with a personalized Christmas ornament from Russell Rhodes, the family of 12 mittens and mantel personalized ornament.